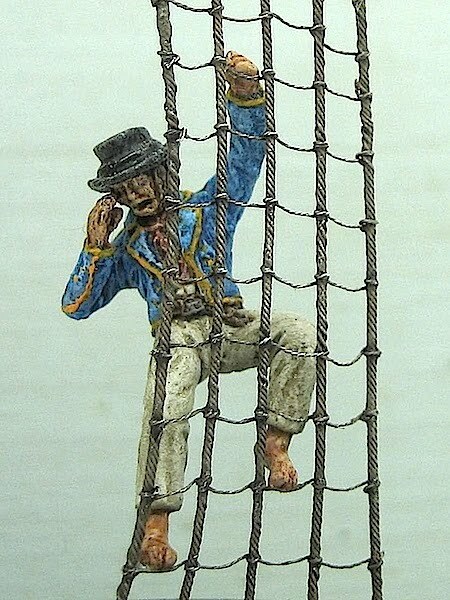 One of the latest figures I made on request, inspired to another 54 mm figure, apparently unavailable in 1/72 scale. A subject that I particulary liked... so much that I wanted it for myself too. So I asked the costumer if was ok for him have a resin copy, instead than buy the original master sculpted, and the permission to produce it, for anyone who may like it too!
" Iceberg ahead ! " Very cool figure. 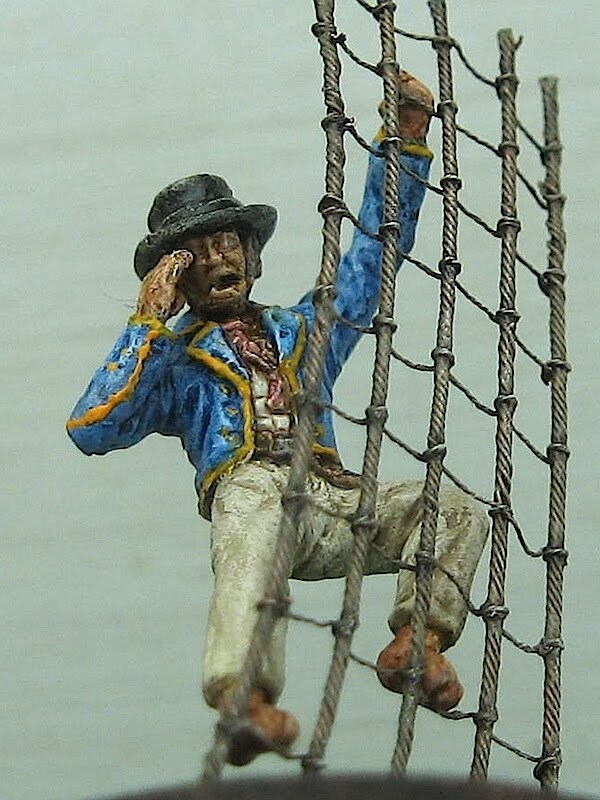 And there is a need for more Sailors of the 19th century. I like your figure much - really well done! Will you continue the production with still more figures to this theme? MABO wrote: Very cool figure. And there is a need for more Sailors of the 19th century. sansovino wrote: I like your figure much - really well done! 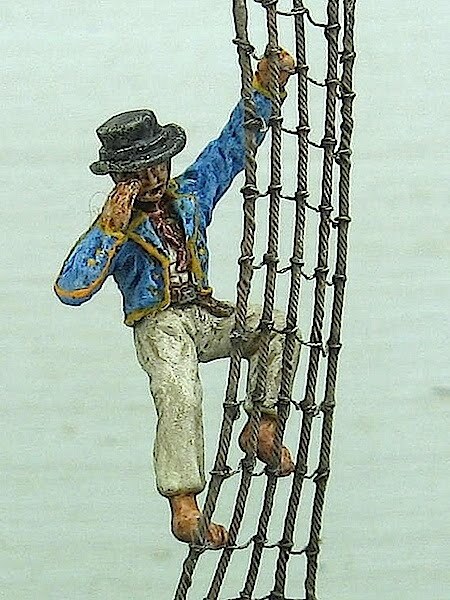 Except some ancient mariners, and an old rough experiment 11 years ago, I never done XIX century sailors before... but I like the subjects and especially these dynamic poses. 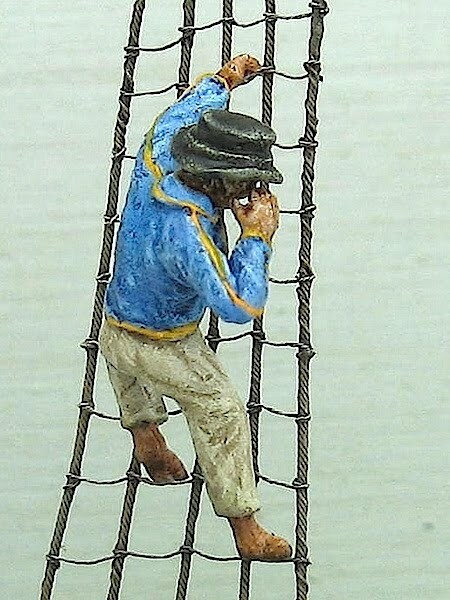 Indeed some more sailors could be useful to increase the range, in fact I'm thinking to make and produce a miniset of at least 6 or 8 figures. A miniset was supposed to be in the original plan of the costumer who asked this first figure... I said "supposed" because then (incredibly, because we both talk italian!!!) despite we clearly agreed all the work details in advance includng the size, the costumer told me he misunderstand and that he expected a 54 mm figure... only when this first figure was done. 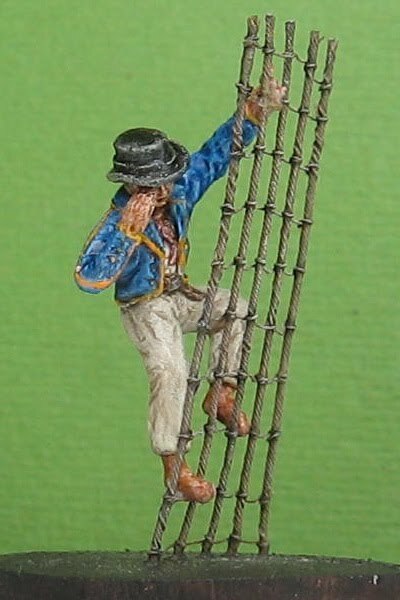 And after all the costumer got 3 resin copies, that I offered instead of the master I sculpted... and perhaps I will have to do this figure again and some others in 54 mm too, another new experiment for me. 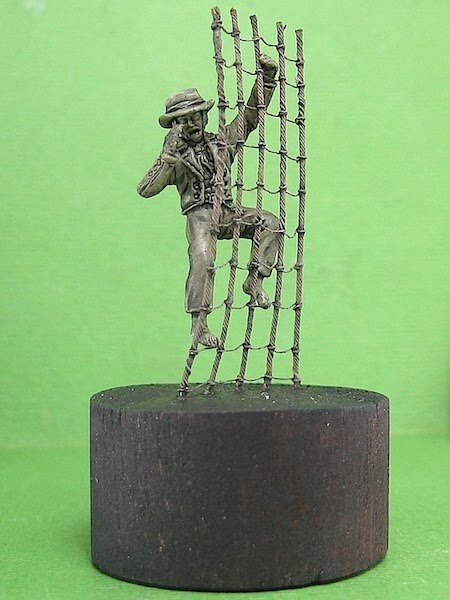 So it will take a while to sculpt and release a new 1/72 saliors set. First because it was a work on request "cancelled", which turned into another of my projects to bring ahead by my own means... and probably also into a more complicate work if I will have to make the same set in 54 mm too. Then I still have to plan it, I already have in mind some figures but I'm not expert, so I still have to decide how to arrange the set composition and poses... if you have hints and suggestions are very welcome! Finally, I can bring ahead one or two other figures in the pauses... while I wait to harden the putty meanwhile I sculpt other sets, but of course I can't delay further more other the previous requests already waiting and the works already on schedule. Absolutely fabulous figure Leo, I love it and I will be watching out for any further figures. 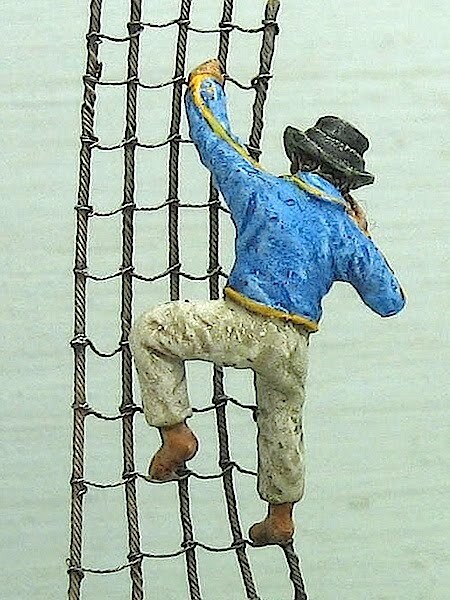 If you do sculpt it again the only suggestions I can make are to have his left hand gripping a shroud (vertical rope) instead of a ratline (horizontal rope). And keep the shrouds straight, they're holding up the mast so they're tightened as stiff as iron bars. But those are real 'button counter' crticisms, most people won't see them and, as I said this is a fabulous looking figure just the way it is. Graeme wrote: Absolutely fabulous figure Leo, I love it and I will be watching out for any further figures. It is always good to know and useful to do better the next time! Sure not many will notice such mistakes, but such ilittle imprecisions are evident to the eyes of the experts and everone who know it... and quite easy to avoid if knew it! I should have paid more attention, but fortunately at least I can quickly correct the hand position and straighten a bit the loosen shrounds. Massimo also made me notice another mistake. The colour of the jacket was too light... the blue in the image I based as reference appaired too light because the particular highilghting painting on the 54 mm figure was a bit fajed by the photo. Another mistake that fortunately can be quickly corrected with a bit of shading. An unusual and fantastic figure !!! Just great ... !!! !